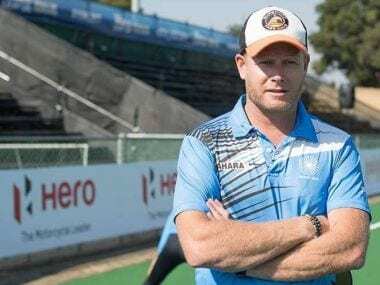 Bengaluru: Hockey India's High Performance Director David John on Saturday said Sjoerd Marijne was appointed coach of the national men's team as he "understood" the Indian culture after working with the women for six months. Women's national hockey coach Marijne was earlier this month named chief coach of the Indian men's team — a stunning decision given that the Dutchman has no prior experience of handling a senior men's side. "Marijne had a slight advantage over others, for he understood the Indian culture while he was working with the Indian women's team for the last six months. From that perspective, that is really important for having been here before," he told PTI in an interview. A section of experts termed Marijne's appointment a "hurried and surprising" move. John further said the appointment was made quickly for the stability of the team ahead of Asia Cup, which is scheduled for next month. "We had very good applicants in very short period of time. The problem was Asia Cup, which was ten days away. We had to make a decision quickly for the stability of team. We made a decision between three applicants very quickly," he said. The appointment of new coach would have taken six months and even some more time for him to understand the Indian culture, John said. "The decision to appoint Marijne was difficult, but I am happy with it," he said. John said there were three "good applicants" for the post but did not reveal the names. Defending the team's rotation policy, John said he does not want players like Harmanpreet Singh and Mandeep Singh to burnout. "Harmanpreet and Mandeep are still 21 years only, and we want them as assets for next 10 years, and if they are breaking down now, that is not good for India," he said. "Mandeep is not going to Asia cup, not because of lack of performance, but to manage his welfare for next tournament as we did with Surender Kumar, Akashdeep Singh and Harmanpreet," he said. "So, in terms of rotation policy, it would be based on their performance and some some others for managing players' welfare," he added. John further said India are placed better than teams such as Australia because they have players who have already played 50 to 60 matches. "Someone like Dipsan Tirkey, who has already played 50 to 60 matches, hence has a head start on all Australian, Dutch and German boys, who haven't had that kind of match experience. Yeah, we are in much better position than other countries," he said. John said the reason behind India beating Belgium and Netherlands twice was the tough competition among players. "Players are driving it. They want to be No 1 by 2020. We are there to assist them to get there. I believe, they can because they have been playing good number of matches," he added.